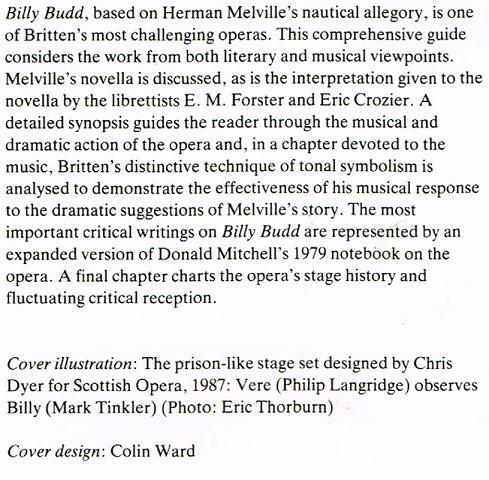 "BILLY BUDD, based on Herman Melville's nautical allegory, is one of Britten's most challenging operas. This comprehensive guide considers the work from both literary and musical viewpoints. Melville's novella is discussed, as is the interpretation given to the novella by the librettists E. M. Forster and Eric Crozier. 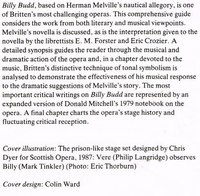 A detailed synopsis guides the reader through the musical and dramatic action of the opera and in a chapter devoted to the music, Britten's distinctive technique of tonal symbolism is analyzed to demonstrate the effectiveness of his musical response to the dramatic suggestions of Melville's story. 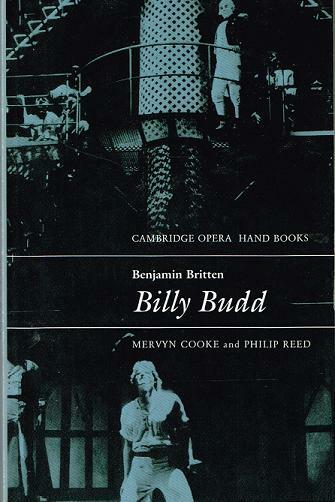 The most important critical writings on BILLY BUDD are represented by an expanded version of Donald Mitchell's 1979 notebook on the opera. A final chapter charts the opera's stage history and fluctuating critical reception."